After you have spent so much time laying the new sod, you want to care for it properly so that the roots will take hold in the soil and continue to grow into a plush green lawn. The initial care of sod is important, but the care of the lawn the rest of the time is important to keep the sod green and healthy for next year. The watering and fertilizing schedule that you follow will determine how well the new sod grows. Water the grass daily for the first week after installation. The ground should be soaked at least an inch down during hot temperatures. Apply water with a sprinkler and let run for at least one hour in the morning or evening. In areas where the temperatures are extremely hot, water twice a day for the first week. The following three weeks will require watering every other day until the fourth week is completed. Mow the grass when the blades are at least 3 inches high. Only remove half an inch off the top. The grass will need to be at least 2 1/2 inches long for the duration of the summer and fall to withstand cooler temperatures during the winter. Irrigate the sod after the fourth week after planting so that the roots have a better chance of taking hold and growing strong before the winter months. You can use a pair of golf shoes to perform the irrigation. Wear golf shoes when you mow the grass. Add fertilizer to the sod after the fourth week. This is especially important to do in September and October before a cold winter because the sod needs a boost in root growth to sustain a cold winter. 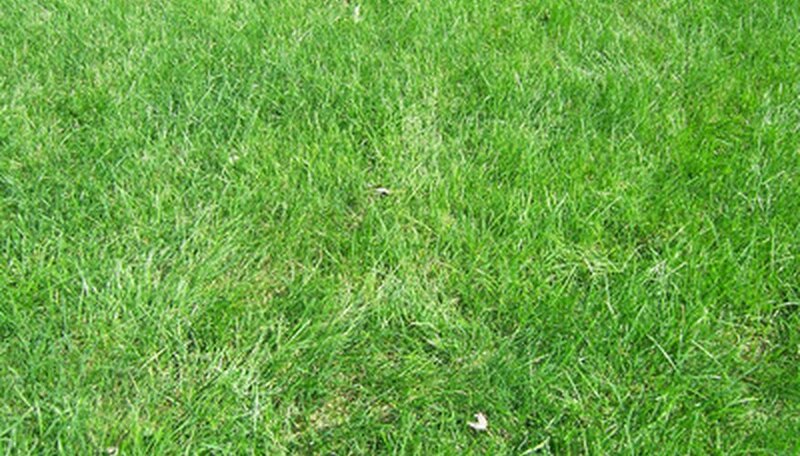 Use a fertilizer that is approved for new sod. Apply fertilizer in spring after winter and cold weather has past. Continue with a watering schedule for the spring and summer. By this time, the grass just needs water to stay green and survive a drought.